Not all hair is created equal. In fact, some textures are a lot more difficult to keep under control than others. The good news is, even the wildest hair in the world can be tamed when armed with the right knowledge and haircare tips. 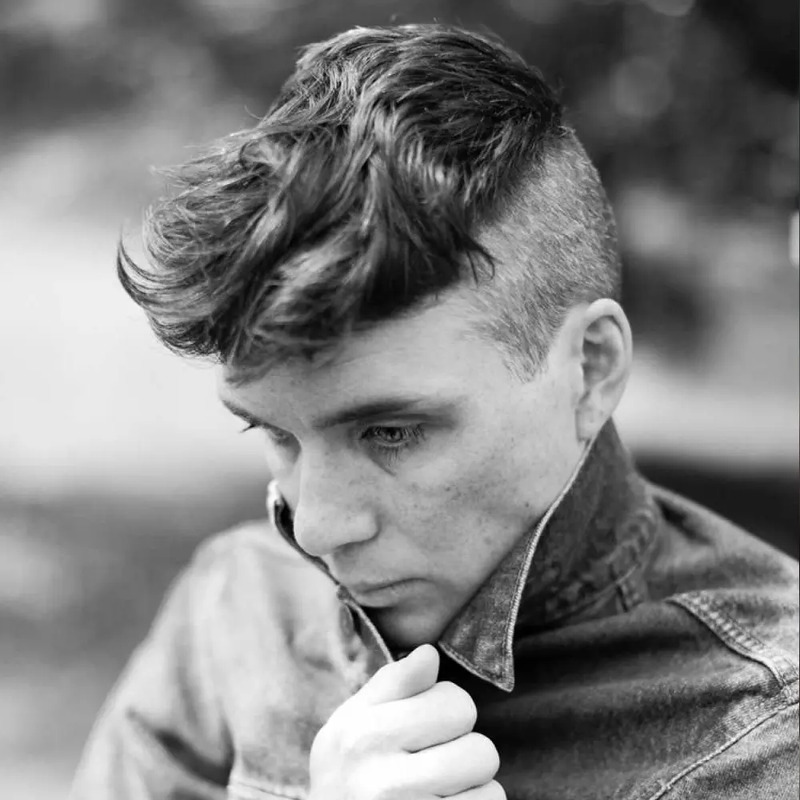 Here’s how to get your disobedient barnet working with you, not against you. Wavy styles are trending hard right now. It’s good news if you’ve got a scalp full of the stuff, but that doesn’t make it any easier to style. This hair type looks great when it’s groomed correctly; full of texture, movement and character. Left to its own devices, however, it’s a different story altogether. Wavy hair dries out easily, therefore you need to be shopping for moisturising products. This can be in the form of shampoos and conditioners, specially formulated serums or even your chosen styling product. Speaking of which, we’d be inclined to opt for something that gives a slightly glossy or wet finish such as a pomade, gel or wax. For those that really want to embrace their waves, there are a number of products on the market designed to enhance curls, often labelled defining or curl creams. At the other end of the scale, smoothing serums and oils are designed to combat frizz and aid control, producing a smoother and altogether sleeker look. Wavy mid-length locks are one of the hottest styles of the moment. Plus, they’re timeless, making this a great cut to choose if you’re looking for something you can keep for the long haul. 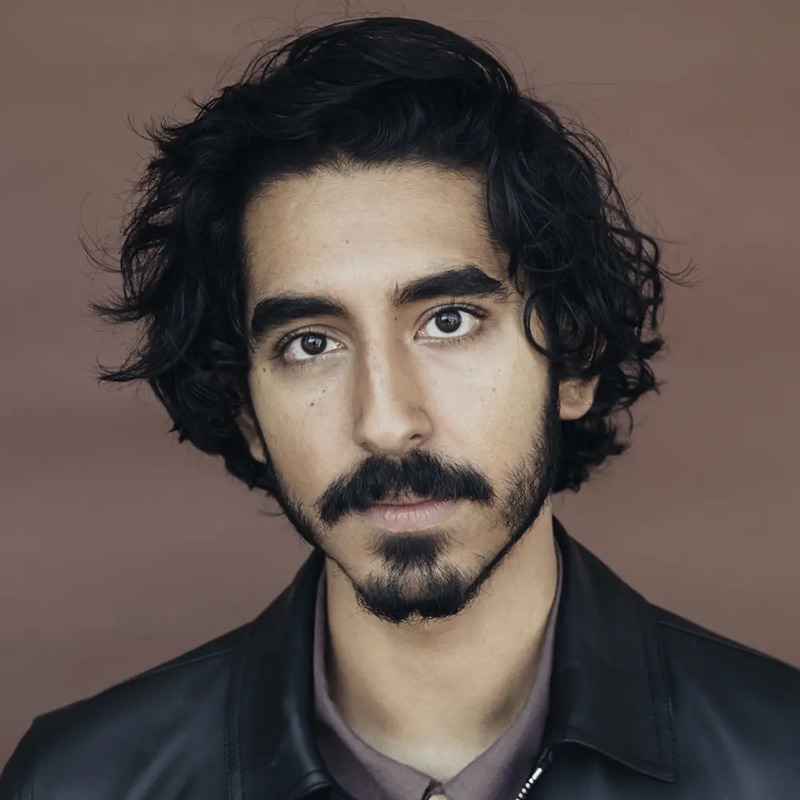 Actor Dev Patel’s ‘do is a good example of how well this type of trim can work for wavy hair, so you could do worse than to take his picture along to the barber with you for a little guidance. If you opt for this cut, keep the styling relaxed and completely natural. Spritz a salt spray or leave-in conditioner into damp, freshly washed hair, then let it dry naturally and fall into place. 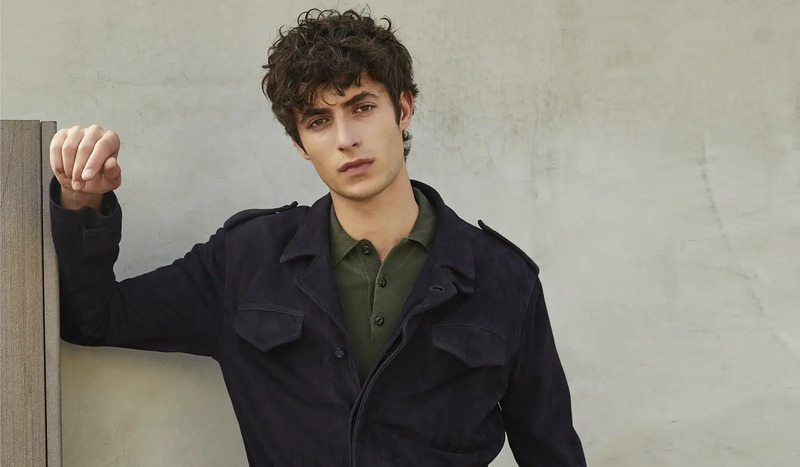 At its core, this cut is an Ivy League, only with wavy hair. 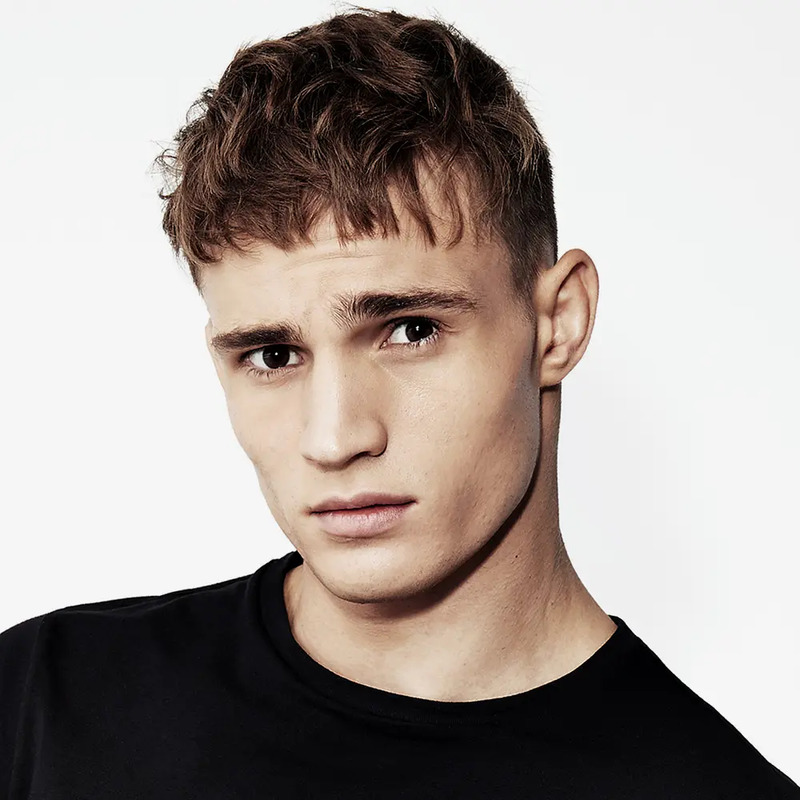 The short back and sides take some of the bulk away, while the length left on top showcases the best of your waves. Ask your barber to taper the back and sides, while leaving enough on top to wear in a parting. 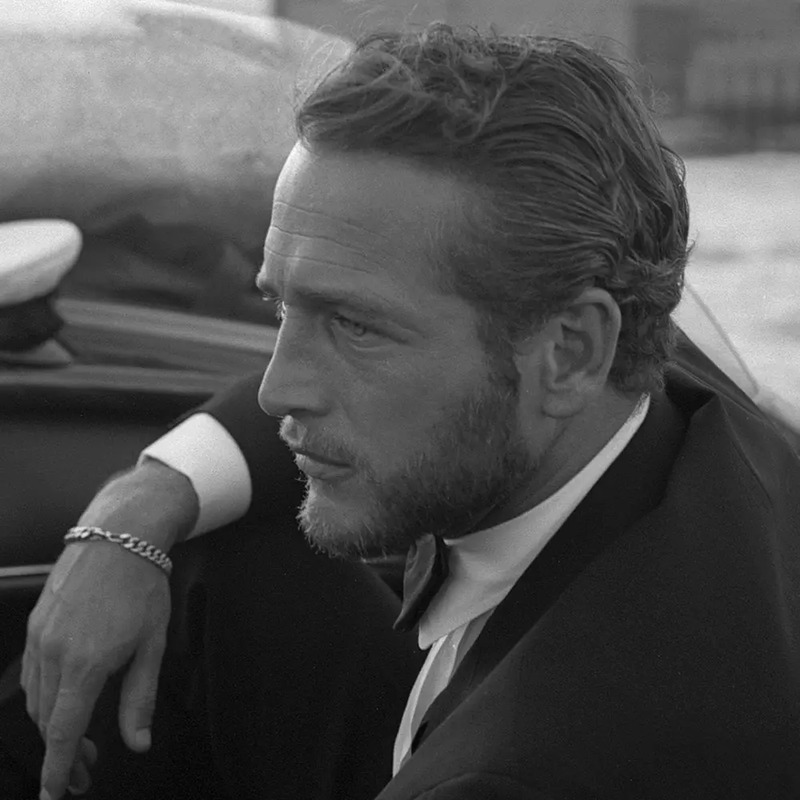 Then, when it comes to styling, apply a good amount of pomade from root to tip, then use a comb and/or your fingers to work it into place. One good way to ride the waves successfully is to slick them back. You could combine this with an undercut or a fade for a contemporary take, but first you’ll need to grow your hair out all over until it’s long enough to push backwards into place. To style, first apply a moisturising spray or smoothing cream to damp, towel-dried hair to keep frizz at bay. Then, use a hair dryer and vented brush to work the hair backwards into place. Next, apply a medium-to-high-shine hair product such as a pomade or grooming cream from root to tip and comb the hair back. Finally, use your fingers to loosen the hair up a bit so that your natural waves show. Those with thin locks tend to be envious of men with lustrous manes of thick, glossy hair. However, those with thin hair don’t understand just what it takes to actually get it behaving like that, having begun the day looking like Captain Caveman. The end goal here is to nourish and hold without adding any unwanted volume. This starts with a good moisturising shampoo and conditioner set to stop the hair drying out and splitting at the ends (it’s not just women who experience this issue), both of which can make it appear straw-like and even thicker than it is. When it comes to styling, avoid anything designed to enhance texture and body, such as root boosting powders or volumising mouses, and instead gravitate to drier products like clays and pastes. Argan oil treatments can also help make thick hair more manageable by moisturising and softening the hair, resulting in an overall sleeker finish. Picking a mid-length style when you’ve got thick hair might sound counterintuitive if your goal is to reduce body and your time in front of the mirror each morning. However, you can get the best of both worlds by opting for a disconnected undercut. It’s a bold look, but taking the back and sides extremely tight helps reduce the overall weight of the hair, making it much more manageable. If you stick to messy crops on top rather than anything that adds too much volume (think quiffs and pompadours), it will also ensure your daily maintenance is reduced. To style, simply blow-dry the hair into position and then rub a small amount of matte paste or clay into the palms of your hands and roughly apply all over. To ensure it remains this easy, you’re going to need to book in with your barber every two or three weeks to keep the shape sharp. Taking things short is a reliable way to make thick hair more manageable. The high and tight is a traditional military haircut that requires next to no upkeep, aside from the odd trip the barbers for a trim. It’s defined by very short hair on the back and sides – down to the bone in some cases – and fractionally longer length on the top. The idea being that it would give a neat, tapered look when wearing a helmet, while still leaving a bit of padding on top for comfort. It’s an excellent, low-maintenance option for those men who don’t want to go all the way with a buzz cut. To style, simply apply a little matte clay or paste using your fingers to keep flyaway hairs in check. Another way of looking at it is, “if you’ve got it, you might as well flaunt it”. 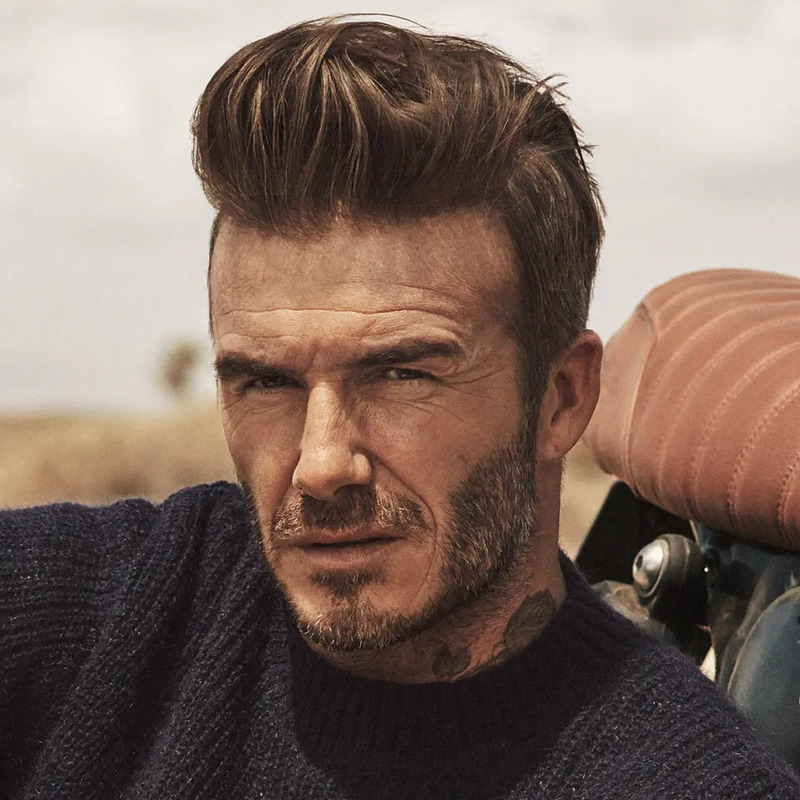 A pompadour may not be as easy to maintain as a high and tight, or even a mid-length undercut, but it will give you an opportunity to showcase that gloriously thick hair. To aid maintenance, have your barber take the back and sides short in order to stop the overall style from becoming too wide. You could also ask whether it would be worth using thinning scissors to remove some of the weight through the top. Be warned, however: for those with dry, coarse hair this technique can actually have the opposite effect by increasing frizz and texture. When it comes to styling, wherever possible it’s best to let thick hair dry naturally rather than blow-drying to keep volume under control. If you are in a rush, setting your hairdryer to the cool air setting will help. When dry, apply your choice of styling product (soft pomades and grooming creams work particularly well) from root to tip and then push the hair up and backwards into place using a brush/comb. When you’re happy, use a strong-hold hairspray to keep it in place all day long. To put it mildly, hair doesn’t always behave in the way we’d like it to. We’ve all had bad hair days, but what do you do when your hair is disobedient day in, day out? Unruly hair with quirks such as double crowns and cowlicks can be extremely frustrating. Still, there are measures you can take to get that barnet back in line. It’s not so much about having the right tools for the job when it comes to taming unruly hair; it’s more about how you wear it. Simply put, you have three choices: very short, long, or tousled and choppy. Below you will find three excellent hairstyles, but the safest bet is to ask your barber for personalised advice. Keeping hair textured and choppy, a little messy even, is a good way to disguise any rogue patterns of growth. The textured crop is a timeless haircut, making it a stylish, perennial option for those whose hair is less than obedient. Also known as a French Crop, this style keeps things neat and tidy at the back and sides, leaving a little more length left through the top, complete with a forward-lying fringe. To style, start with freshly washed hair and roughly blow-dry into shape. You can add a pre-styling product such as a root powder or salt spray before drying for added control and texture. When dry, apply a matte-effect clay, paste or grooming cream all over, using your fingers to create separation and definition. Another option is to grow hair out long – the weight of it will lessen the effects of a cowlick or a double crown. Plus, it means your barber won’t be doing battle with two directions of growth in quite the same way that they would have to with a shorter haircut. 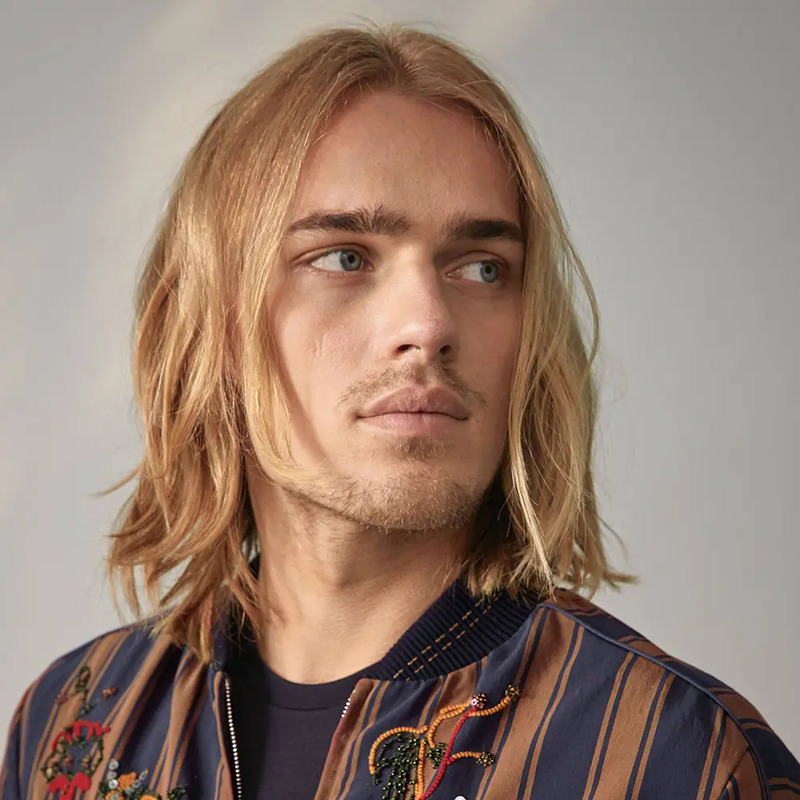 Again, as with the textured crop, keeping things messy and beachy offers further defence – allowing you to work with your natural growth patterns, rather than trying to control them. 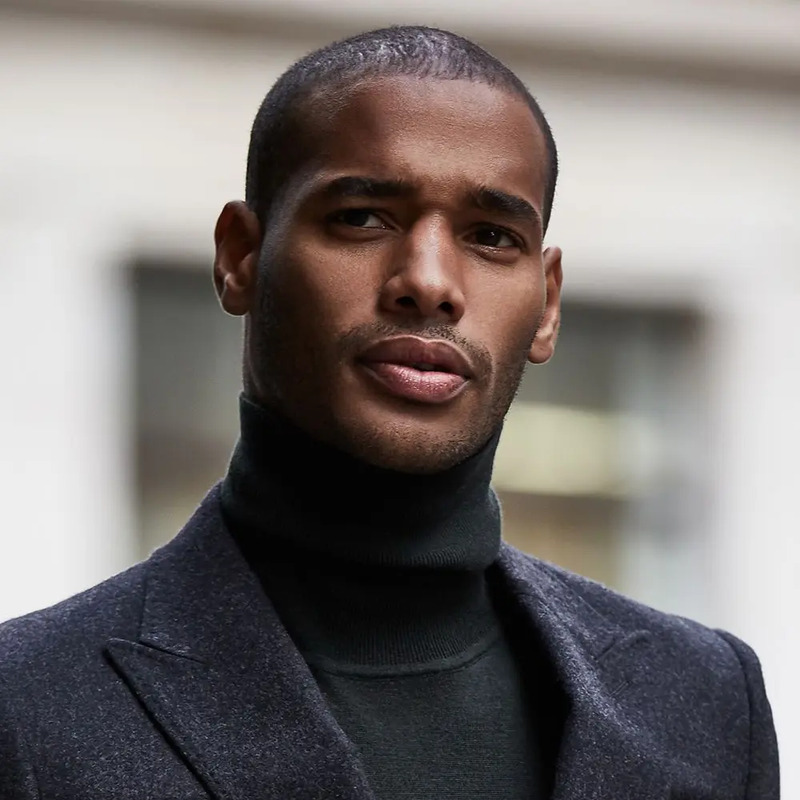 Once you’ve got past the awkward in-between phase, this cut is actually relatively easy to style, providing your barber has created a strong overall shape. Simply wash your hair with a moisture shampoo and conditioner, then spritz a liberal amount of salt spray into the roots of damp hair and allow it to dry naturally. Of course, there’s always the nuclear option. 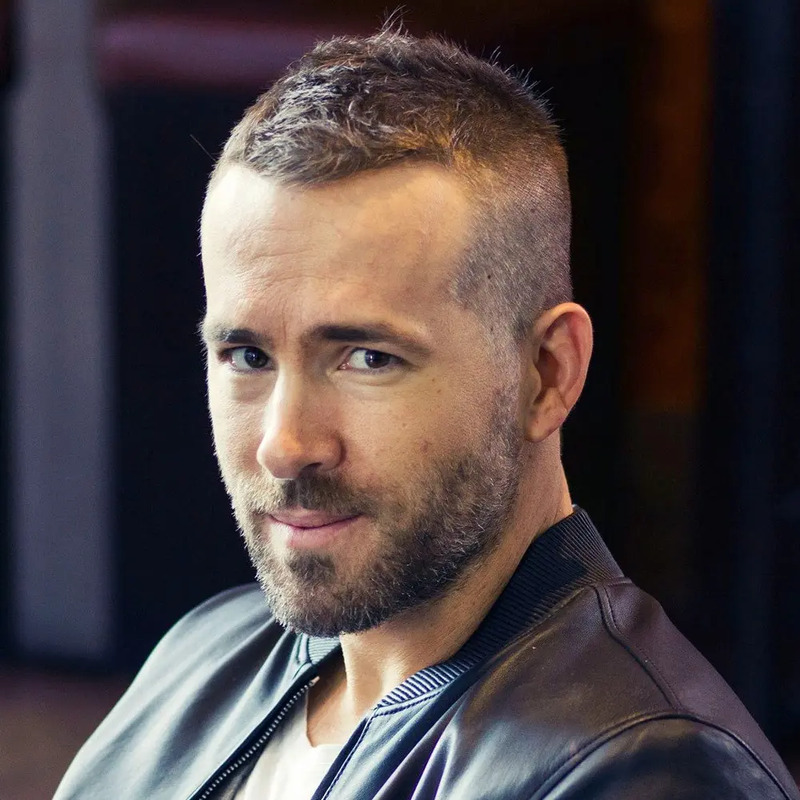 Shaving your hair off completely may seem like an extreme way to deal with unruly locks, but a buzz cut is a masculine and low-maintenance move that keeps things under control. This cut looks its best when kept short and sharp, so make sure you book in regularly with your barber. Alternatively, if you have a willing family member/partner/friend and want to save money in the long run, invest in a pair of high-quality hair clippers and buzz it yourself in the comfort of your own home.